McCaskill, who is seeking her third term, has collected just under $4 million since Jan. 1. That’s one of the largest tallies in the country among Democratic members of Congress. McCaskill provided St. Louis Public Radio late last week with a requested copy of her official summary sheets filed with the Federal Election Commission. Hawley initially declined to do so, but forwarded his summary sheets on Thursday, four days after they were filed. Hawley's report has yet to be displayed on the FEC’s site, reflecting the complicated filing procedure for Senate candidates. McCaskill's report is available. Hawley has raised $1.5 million since January 1. That includes aid from other GOP committees, as well as just over $1 million in individual donations. Missouri Attorney General Josh Hawley, left, is the best-known Republican challenging U.S. Sen. Claire McCaskill, a Democrat. Missouri’s Senate contest is among the nation’s most closely watched, and could determine which party controls that chamber as of January 2019. 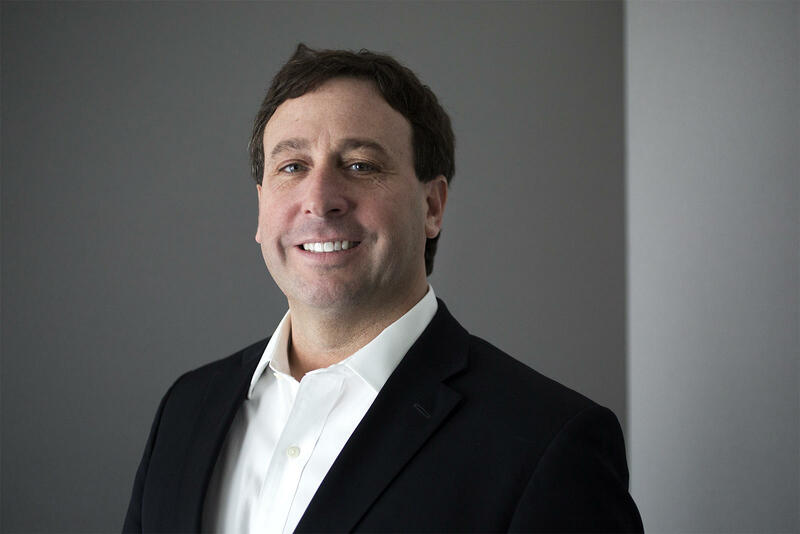 Aside from the Senate hopefuls, St. Louis County Executive Steve Stenger appears to have raised – and spent – more money than anyone else in the state running for a state or local office this year. Stenger’s latest campaign-finance report, filed Monday, shows him with just under $2.4 million in the bank, after spending close to $500,000 in the last couple of months. Mark Mantovani, who is challenging Stenger in the Democratic primary, reported $821,000 in the bank. Much of it has come from the businessman’s own pocket. Mantovani’s report shows that he has donated at least $1 million to his campaign. That includes $250,000 he gave on March 31, the last day of the filing period. Although their primary contest is in August, Mantovani and Stenger already have spent close to $1 million combined. A large chunk of that money appears to be for TV ads that have been on the air for weeks. The county executive contest has no limits on the size of donations, because local contests are not covered by the state campaign-donation restrictions imposed by Amendment 2. Embattled Missouri Gov. Eric Greitens raised less than $32,000 since Jan. 1, although the Republican still has well over $2 million in the bank. It’s unclear if he and his allies are still collecting money for his nonprofit group, which does not have to disclose its donors or finances. State Auditor Nicole Galloway, a Democrat seeking re-election this fall, reported one of her best money-raising quarters to date, and now has more than $1 million in the bank. One of her Republican rivals, St. Louis lawyer David Wasinger, is not far behind, with just over $745.000. State Rep. Paul Curtman, a Republican from Franklin County, reported just over $41,000. Lt. Gov. Mike Parson, a Republican who would replace Greitens if he is forced out, raised only $11,000 so far this year. Parson has less than $45,000 in the bank. McCaskill’s report shows that the bulk of the senator’s new money – $3.5 million – came from direct donations. Individuals can give no more than $2,700 per election to U.S. Senate candidates. An additional $404,000 was raised by joint-fundraising committees set up with other Democratic officials or committees. In Hawley's case, he reported raising $1.06 million from individuals, collecting just over $200,000 from political groups, and receiving another $206,000 from joint-fundraising committees. Their latest campaign-finance numbers come as both candidates and their allies ramp up their attacks. Hawley's campaign said that McCaskill's numbers reflect her close ties to Hollywood liberals, trial lawyers and lobbyists. The Missouri Democratic Party unveiled a new ad Monday that accuses Hawley of failing to properly investigate Greitens. Meanwhile, Hawley fired off a statement asking McCaskill if she wants to repeal the federal tax cuts that she opposed when the legislation was passed in December. And at least one independent GOP group also went on the attack Monday, accusing the senator of being out of touch with average Missourians. Hawley also filed with the Missouri Ethics Commission regarding his state campaign committee, which reported close to $1.1 million in the bank. That money cannot be used for his Senate bid because of stricter federal campaign-finance laws. As a result, it’s no surprise that Hawley reported he had raised no money for his state campaign committee since January 1. This article first appeared in the St. Louis Beacon, Dec. 13, 2011 - The National Taxpayers Union is the latest national conservative group to jump into Missouri with ads targeting U.S. Sen. Claire McCaskill, D-Mo. The group has begun airing a series of one-minute radio spots on most major stations around the state. 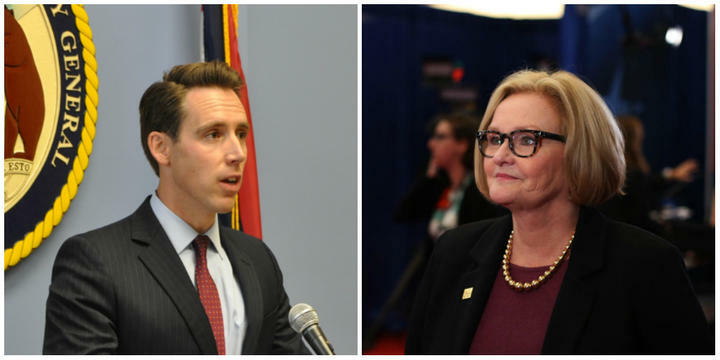 Missouri Attorney General Josh Hawley has bankrolled $1.2 million so far for his GOP bid to oust U.S. Sen. Claire McCaskill, who is regarded as among the nation’s most vulnerable Senate Democrats. But Hawley’s fundraising pace is well behind that of McCaskill, who has amassed more cash than almost all other U.S. senators in the country on this fall’s ballot.